Look at the lovely postcard that just_ann_now sent to me. 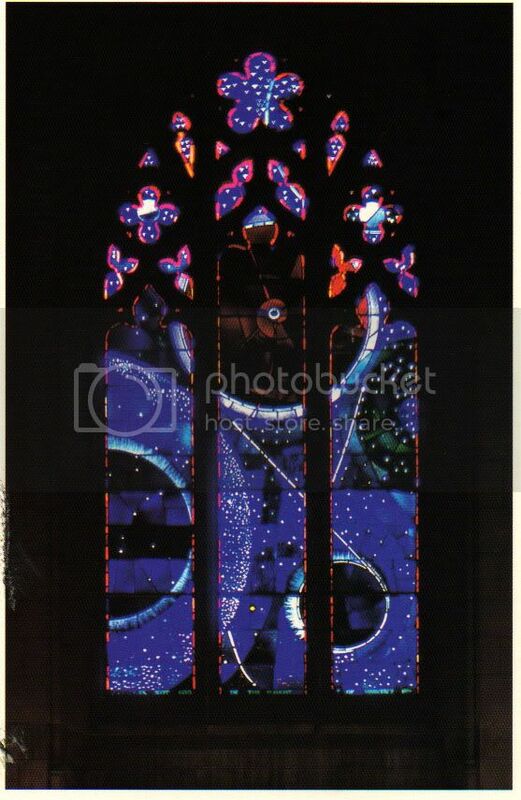 It's a picture of the Space window at the National Cathedral in Washington DC. The large red orb in the center actually has a piece of moon rock brought back by the astronauts of Apollo XI. The stained glass artist is Rodney Winfield. Pretty things like this from thoughtful friends like Ann just make me smile. Thanks so much Ann!!!! Well, I'm certainly thanking her. I love my postcard.